Gooseneck vs Fifth Wheel: Which is better? If you need to tow something, then you need an excellent hitch in your corner. Forget the traditional receiver hitch. That won’t do you any good with heavy towing. Think of Gooseneck and 5th wheel which are some of the best hitches in the market when it comes to towing heavy things that regular class 3 or 4 hitches couldn’t handle. Gooseneck and 5th wheel hitches are often used with pickup truck beds. They are however not only limited to only SUVs, and large trucks. Most vehicles can support a hitch, and if it doesn’t have an allowance for one, you can get an aftermarket gooseneck hitch. But if we put the two against each other, which one will win this battle? 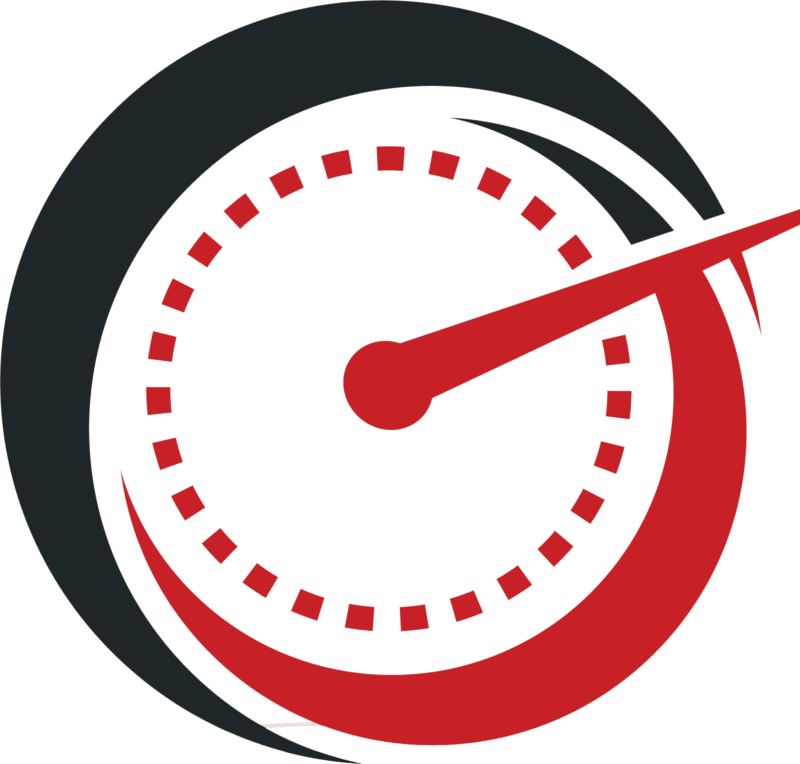 We will help you scout for the best option via a product specific review. This is a product by B&W Trailer Hitches which produces American made towing products. The company prides itself in being the first to pioneer how the industry viewed and reinvented the Turnoverball Gooseneck Hitch. Instead of a hitch that was permanently molded on the bed of a truck, they created a hitch that came with mounting hardware underneath the truck bed and a ball that can turn over. The idea came from Roger Bake, a classic car restorer, and Joe Works, a farmer who later transferred ownership to B&W to carry on with the legacy after they retired. Now the company has expanded its market by manufacturing a wide range of towing products in its nearly 500,000 square-foot facilities. As a rule of thumb, Gooseneck hitches are often used in working trailers. Reason being that it can tow a trailer of up to 25, 000 pounds. It is the best tool to convert a level bed into a hitch and back when you don’t need it. A metal plate characterizes a Gooseneck hitch fitted directly under/on a vehicle box. The trailer and the towing truck is connected with couplers and a ball. The ball is mounted in the middle of the truck bed as opposed to the bumper as with other hitches. A safety chain is often provided with the hitch to ensure that the trailer doesn’t fly off from the pickup in case of hitch failure. The connection point is on the bed of a 1-ton or 3/3 ton pickup truck and right at the front of the truck’s rear axle. On the first look, you will notice that the B&W Gooseneck hitch has a sturdy design and a shiny finish. The finish makes it both corrosion and rust resistant thereby making it very durable. The B&W Gooseneck hitch is installed on the frame lines on trucks with electrical wires, fuel lines or brake lines. Ensure to check the location of the fuel/brake/electrical line in your truck before you start installing the hitch. Be careful not to damage them when fastening the hitch or drilling holes into the bed. 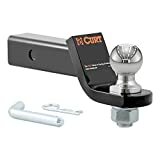 The turnover ball design makes this hitch a universal fit for most trailers, and you only need to drill a 4” hole for the turnover ball to pass through. The B&W Gooseneck hitch will suit your needs whether you are an avid camper, fisherman or a farmer who hauls livestock around. The B&W Gooseneck hitch is easy to install for every professional DIYer who is mechanically inclined. 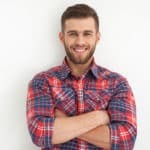 You will also save a lot of money in mechanical expenses. It doesn’t require bed removal so you can easily install the hitch without assistance. It provides first-rate hauling of a heavy trailer, recreational vehicle or even a boat. Everything about this product screams high quality and durability. The fact that it is American made is enough reason to buy it and support the American economy and its workers. Pro Series has raised the bar in the production of trailer hitches and towing accessories since its inception in 2002. It operates under the corporate banner of Cequent where it has built its incredible catalog of well-engineered parts. Pro-Series hitches are marked by high-quality weight distribution which will allow you to tow at your vehicle’s maximum towing rate and at the same time maintain an adequate amount of tongue weight. The same expertise is used by the company to build high-performance components like hand-cranked winches and ball mounts. The Pro Series 20k fifth wheel hitch has a legion of following from towing professionals. This is because it shows superior towing and safety has a dual jaw system that envelopes the kingpin to reduce wear. You will notice that the jaws surrounding the kingpin in fifth wheel hitches are always pointed downwards, that is facing away from the plate. 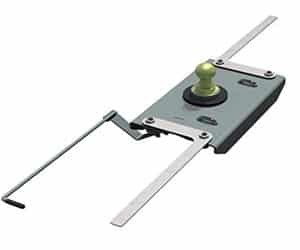 Its side joints are lubricated and clamped to tighten it and also to enhance efficient operation. Lubrication is necessary as the plates of the trailer and the hitch are constantly rubbing up against each other when driving. They can even heat up from friction and wear out if you regularly drive over gravel/rugged surfaces. The kingpin now does the final job of making the connection secure by getting locked inside the hitch. The hitch can, however, make rotations during turns. The truck bed space is significantly reduced when you install the hitch, and you may not have enough room to put your cargo in there. The 20K Fifth wheel hitch has an overall towing capacity of 20,000 pounds. In many states, passengers can only ride in trailers that have a fifth wheel set up as it is considered to be a safer option. The fifth wheel is also a go-to hitch for pulling camping trailers and RV’s. Many states recommend using a fifth wheel hitch if you are going to reside in the trailer being towed by the hitch. It is therefore popular with campers. It also pulls a significant amount of weight and is the best choice for simplicity and safety. When installed correctly, the hitch shifts the weight of the towed trailer from the back to the front axle. This, in turn, improves weight distribution and braking control of your towing vehicle. It also minimizes sway and offers a smoother, level ride. 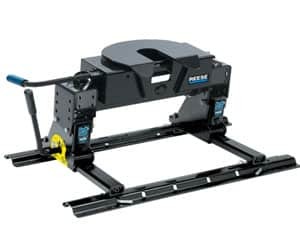 The Fifth wheel 20K hitch is your number one traveling companion for a long tow ride. 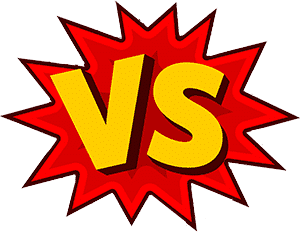 The winner here depends on your towing needs and regulations governing towing trailers in your state. You should also consider your ride’s pulling ability. You can get that in your owner’s manual. You need to own at least a ¾ ton / 1 ton or more massive truck to use either hitch. If you would like to use the hitch on a vehicle that’s ferrying people, then the best buy would be a fifth wheel hitch especially if you have an RV or a camping trailer. A fifth wheel hitch is also recommended for large full-size trucks for safety, easy maneuverability and stability. On the other hand, if you need to use the space on your truck bed, then go for a smaller profile hitch like the Gooseneck. Though a Gooseneck doesn’t carry passengers, it allows you to tow a larger weight capacity in comparison to the Fifth Wheel Hitch. A Gooseneck hitch also comes at a friendlier price than the fifth wheel. Bottom line is go for the fifth wheel if you want to carry passengers and the gooseneck for carrying bulky and heavy cargo. We wouldn’t wrap up our review without giving you something else to consider. Information is after all power. So take a look at our bonus pick. Anderson Hitches is a US-based manufacturing brand that has had over 50 years’ experience in the industry. It has its headquarters in Idaho Falls and boasts of running a staggering 102,000 square foot manufacturing plant. They currently serve the towing industry with first class towing products for 5th wheels and trailers. 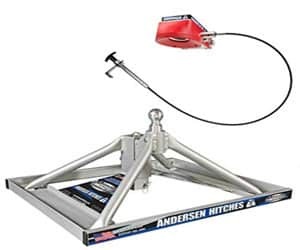 The Anderson hitch 3220 is a lightweight but strong hitch that makes towing life quite easy and convenient. It’s suitable for a standard bed, long bed trucks and short bed. It comes with a ball-funnel that makes hook-up and removal a one-person job. It is made of sturdy, corrosion and rust resistant aluminum material, and you will, therefore, get a long life from this work of art. You will be happy to know that it also features a greaseless coupler. Meaning that you don’t have to deal with having dirty hands every time you are hooking it up to the bed. What’s more is that the coupler rolls on a ball and thus has more swivel in every direction. This feature will enable you to couple or uncouple your trailer even in the most rugged terrain. The ball has a 3” adjustable height and reduces friction from the pressure exerted by the coupler. This baby will, therefore, give you a consistently smooth ride with easy maneuverability and can handle sharp cornering. The Anderson Hitch 3220 is light, durable and a high-quality product. The installation is straightforward and can be handled by one person. It pulls with ease and cornering is no longer a difficult job when towing. 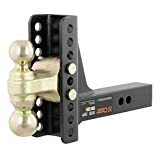 The best part is that you no longer have to deal with loud noises that make you wonder if your hitch has broken down or if it’s about to slip off. What is the difference between a fifth wheel and gooseneck? Is Fifth Wheel better than gooseneck? Can you pull a 5th wheel with a gooseneck? Is a gooseneck better than a bumper pull? Can you haul a 5th wheel with a short bed truck? Can you tow a fifth wheel with a ball hitch? A gooseneck hitch uses a ball and a coupler to establish a connection with the trailer. A fifth wheel uses a kingpin funnel to establish the same link. Gooseneck hitches are used primarily by trailers transporting goods while fifth wheel hitches are more suitable for haulers ferrying passengers. A gooseneck is also less expensive than a fifth wheel. Seeing that they have different applications, there is technically no hitch that is better than the other. However, you can argue that the fifth wheel is better in that it can be used for transporting humans. If you already have a Gooseneck hitch ball mounted on your truck bed and need to tow a 5th wheeler, you can be creative with how you do it. Just buy a 5th wheel hitch and set it on top of the ball hole of the gooseneck hitch. Alternatively, you could get an adapter that lets you connect the fifth wheel trailer’s kingpin to the gooseneck ball. Yes, a gooseneck has a larger weight towing capacity of 25,000 to up to 30,000 pounds. A bumper pull is a more traditional hitch and is more suitable for small RVs or trailers. If you need to tow a larger weight, then you should go for the gooseneck which is more suitable for larger trucks. Yes, you can, but the problem will be that the fifth wheel hitch will take up most of the space in the bed. You have to be willing to sacrifice using the bed as a storage space. Yes, you can. Just get the right fifth wheel towing hitch like the Pro Series 20K or the Anderson 3220. From the review, we get the impression that both the Gooseneck and Fifth Wheel hitches are great choices for large trailers. We also understand that at the end of the day you will pick a hitch depending on the application. Nonetheless, you should always be an informed buyer and go for the most reliable and durable hitch in the market. Our review highlighted some of the best so you won’t go wrong if you give them a shot. I have been looking at getting a gooseneck hitch for my trailer. Before reading this, I did not know that gooseneck hitches were better for hauling weight but worse for people. This is good to know in case I ever get an RV.